Photo: Peter Beeler Not labeled for reuse. All rights reserved. The 21 members of the CASA Steering Committee represent a range of interests. 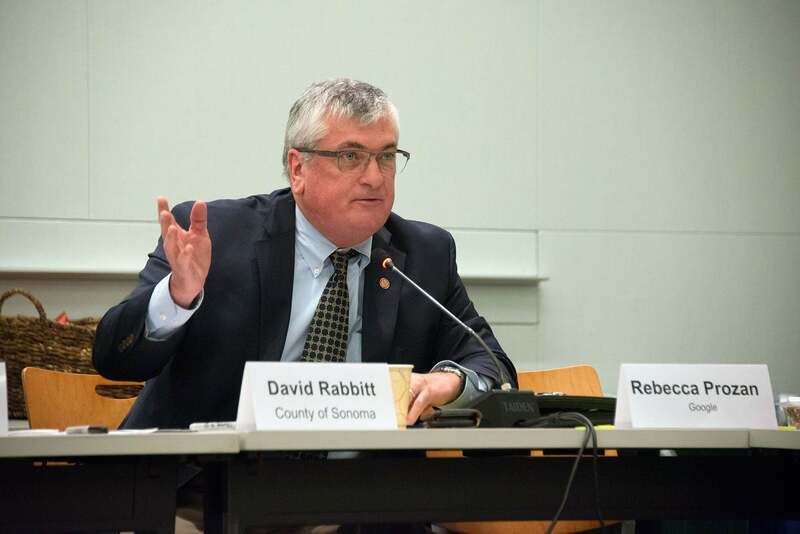 CASA has been steered by three co-chairs: (l-to-r) S.F. 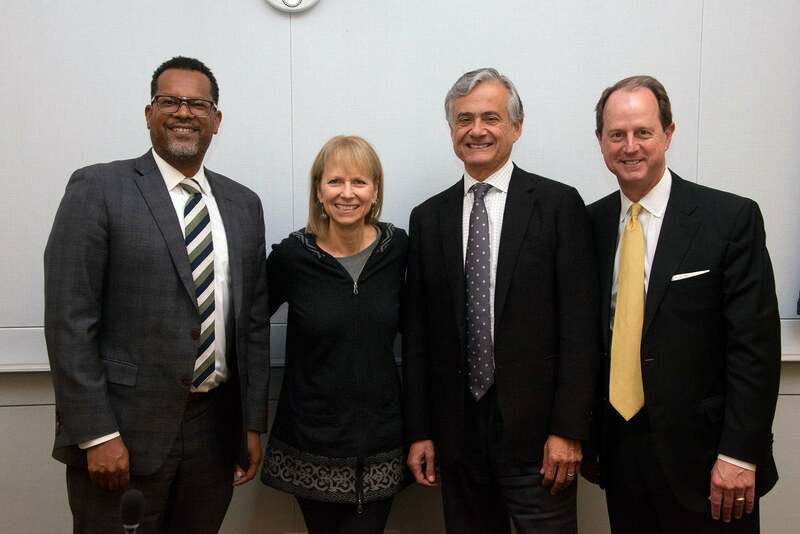 Foundation CEO Fred Blackwell; TMG Partners CEO Michael Covarrubias; and Silicon Valley @Home ED Leslye Corsiglia. To their left is MTC ED Steve Heminger. The three CASA co-chairs stand with MTC chief Steve Heminger (far right). 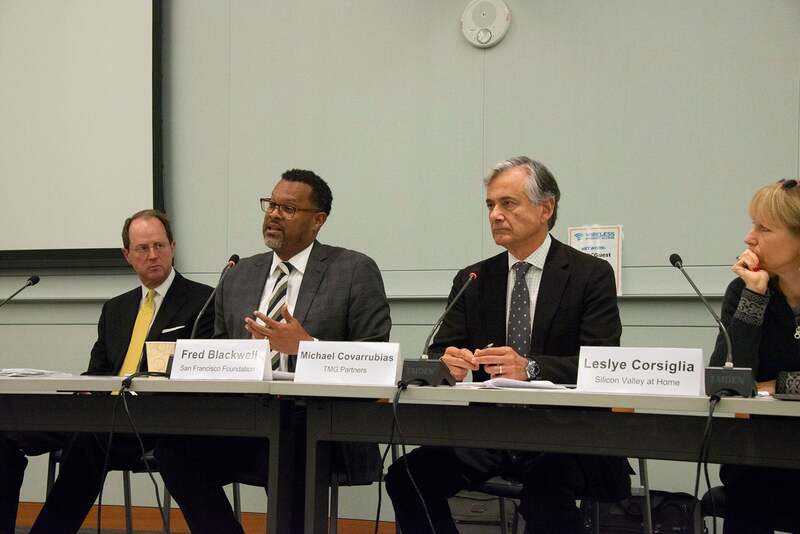 L-to-R: Fred Blackwell, CEO, S.F. Foundation; Leslye Consiglia, ED, Silicon Valley @Home; Michael Covarrubius, chair/CEO, TMG Partners. 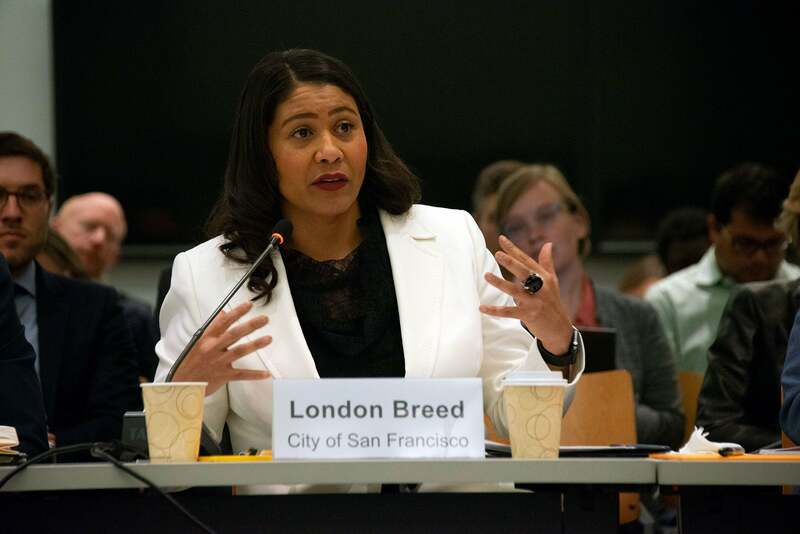 You know something is important when it attracts all three of the region’s three big-city mayors: San Jose’s Sam Liccardo, Oakland’s Libby Schaaf and San Francisco’s London Breed. 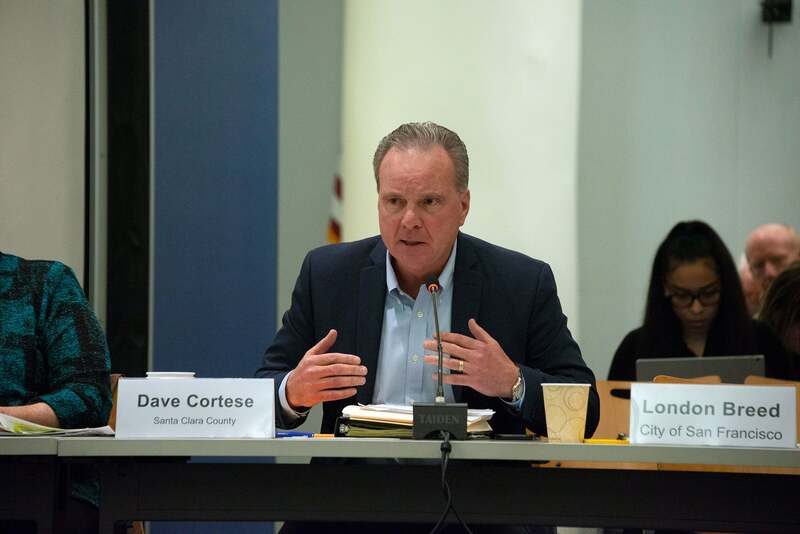 The trio came together at MTC’s Metro Center headquarters on December 12, 2018, to endorse an ambitious 10-pronged plan for attacking the Bay Area’s housing crisis, known as the CASA Compact. 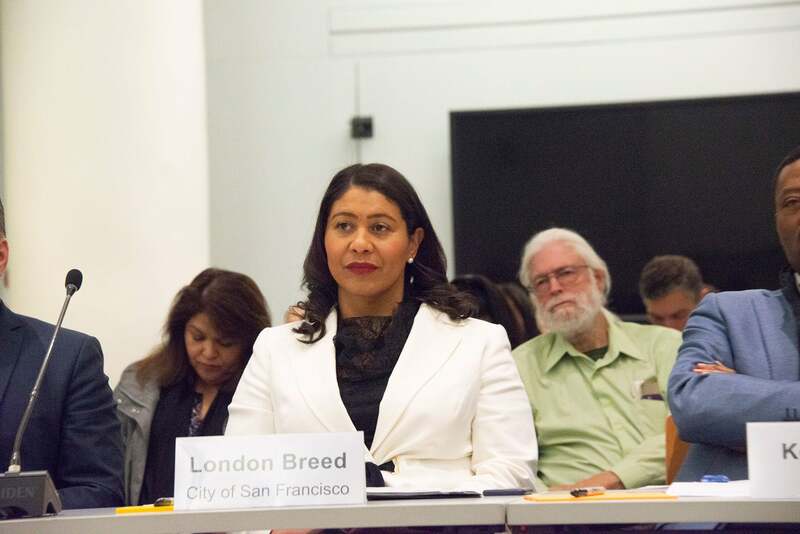 The occasion was the final meeting of the Steering Committee for CASA — which stands for the Committee to House the Bay Area (Breed and Schaaf attended the final December 12 meeting in person, while Liccardo was connected via a phone line). 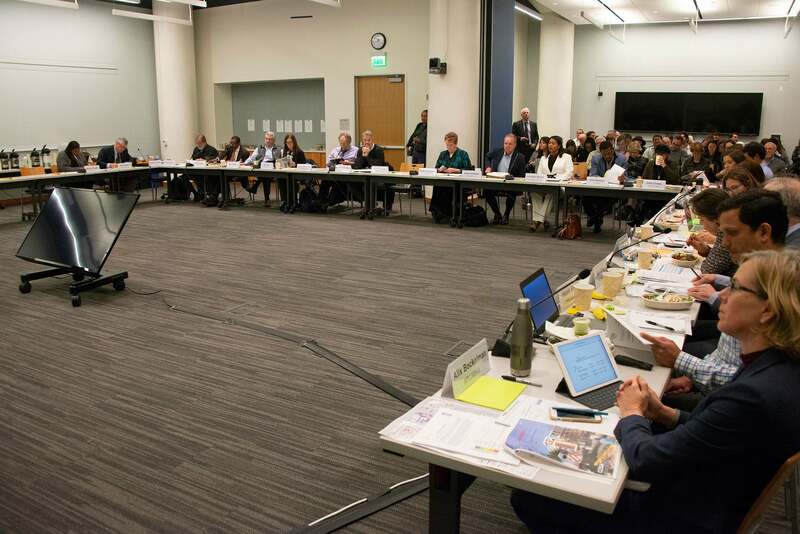 CASA was convened in mid-2017 by MTC and the Association of Bay Area Governments (ABAG) to tackle the region’s housing crisis head on. 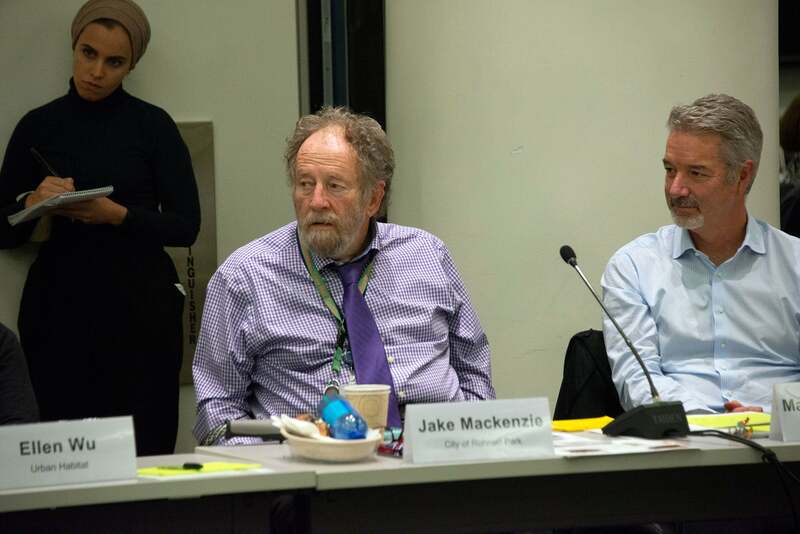 The three mayors participated on the 21-member panel along with representatives of affordable housing organizations and developers, major employers, labor, transportation, charitable foundations and local government, including MTC Chair Jake Mackenzie and MTC Commissioner Dave Cortese. 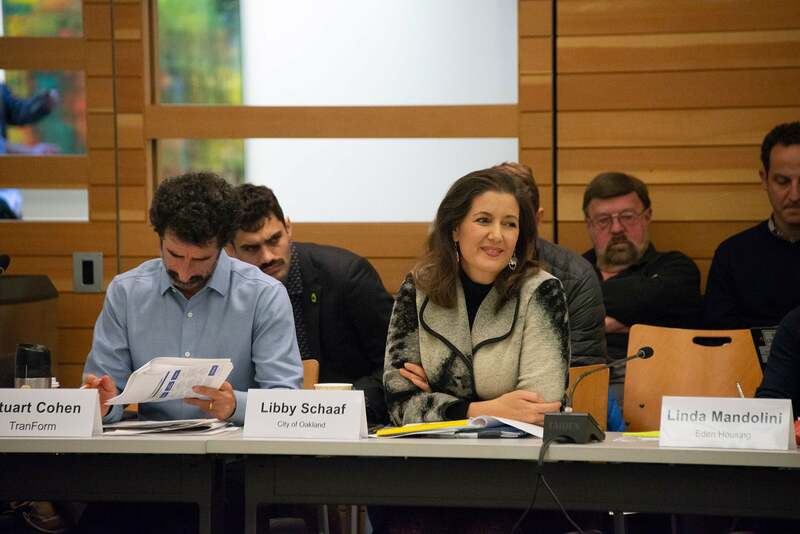 Mayors Schaaf and Liccardo also serve on MTC’s Commission.